Do you have misted up, cloudy or broken double glazing? Need a UPVC window or door repair? We can replace your glass, repair or replace faulty Upvc windows & doors, locks, handles and hinges. Rated the top Upvc window & door repairs specialist in the Runcorn area, Windowgeeks can repair all types of UPVC, timber & Aluminium window & door problems, quickly, professionally. Saving you £££ on the potential cost of a new window or door replacement. Whether you have steamed up or broken double glazing that needs replacing, a window that needs unjamming, a handle that’s become loose or a window or door that has a faulty lock, we can fix it for you. 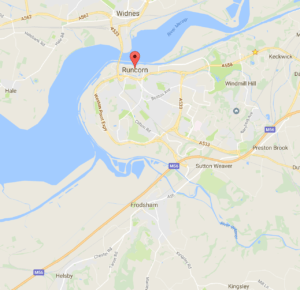 We are based in Runcorn, and with over 20 years’ experience in the window, door & glass industry, We offer our customers a fully guaranteed and insured, glass, window & door repair service.. There is no call out charge, no minimum order value, no credit card charges and no deposits. We don’t employ salesmen, and our replacement glass comes with a generous 10 year guarantee and locks, handles, hinges and other window & door hardware, come with a 2 year no quibble guarantee. So call us now on 01928 450046 for your Free No obligation quote. The whole of Runcorn, Frodsham & Helsby including Weston Point, The Heath, Norton, Norton Village, Brookvale, Murdishaw, Sutton Park, Palacefields, and surrounding areas.